When you choose McCarthy Metal Roofing in Raleigh to customize a roof for your home or business, you will have the peace of mind knowing that you have received exceptional value for your investment. Not only will you own a state-of-art roofing system, you will have the backing of a highly reputable North Carolina based roofing company. All contractors will tell you that they stand behind their work but we go miles further by providing a written workmanship warranty as well as the manufacturer’s product warranty. As a McCarthy Metal Roofing customer, you will receive: • 100% Non-Prorated material warranty from the manufacturer for as long as you own your home, transferable for 40 years. 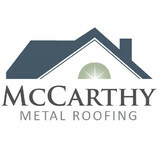 • 100% Non-Prorated Workmanship warranty by McCarthy Metal Roofing for 10 years. • Value Guarantee: An in writing guarantee that a better value cannot be found. We are a team of exterior contractors, with expertise in window replacement, siding, roofing & gutters, and doors. Our team is prepared to exceed our client's expectations regarding any exterior needs. The American dream was alive and well in 1961. That was the year that Melvin Monsein followed his dream and founded a small home improvement company. Determined and enthusiastic, he soon discovered that, while his commitment to excellence separated him from competitors, only time would allow him to establish his reputation. Melvin's hard work prevailed. 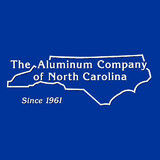 Incorporated in 1963, The Aluminum Company of North Carolina was already developing a sterling reputation. Homeowners searching for a sense of security were relieved to find a long list of assured customers who experienced the dedication, expertise and follow-up from this young Raleigh-Durham company. 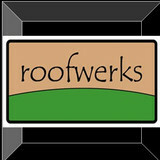 Roofwerks is the premier North Carolina residential & commercial roofing contractor. We are licensed & fully insured. We specialize in all types of roofing including slate, clay, tile, concrete, metal, cedar, rubber and asphalt shingle roofing. We offer full service roofing repair crews for all of your emergency needs, total roof replacements, roof inspections, new roof construction, skylight/suntunnel installations, all types of gutter/siding services and much more. Since 1991 out of Cary, NC our second generation family owned and operated business has serviced over 10,000 residential homes in the Triangle by maintaining, repairing, or replacing their roof's. We offer the strongest manufacturers warranties available because of our attention to detail and strong reputation from the most trusted manufacturers. Our deep roots in the Cary area has allowed us to stay in business over 24 years due to our clients referrals to their neighbors, friends, and family members. Rain gutters that aren’t properly maintained can become a major problem, so when you need an expert repair or installation, give us a call at Got Gutters? LLC. Our knowledge of gutter systems, plus our experience in construction, give us the expertise and skill to handle any of your gutter needs. Robinson Construction Service Corp. has been providing general construction services since 2005. The business incorporated in 2008 and began specializing in steep and low-slope commercial / residential roofing. With more than 25 years of experience, we assist our customers in the roofing and remodeling industry to produce high quality projects while adhering to tight schedules and budgets. 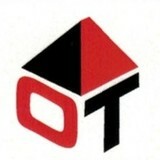 We do this by providing quality control on each project. We’re fully insured, licensed and comply with zone regulations, building codes, and other laws. We are members of the local Guilford Merchants Association. Robinson Construction Service specializes in roofing, general construction, and remodeling! Our team is managed by Project Specialist JC Arroyo and job site manager Freddy Rodriguez. We have financing available for well-qualified applicants and our work is warrantied. Our crew is trained and certified to work with the materials they install on your home. We focus on beautiful roofs to match classically styled homes. We offer a complete variety of roof replacements for your home, such as Asphalt Singles, Metal Roofing, Composition and newer composites. Besides providing quality residential roofing services, we specialize in the sales and installation of high quality skylights, windows, decks and siding. For materials, we use major brands such as Owens Corning (Pink Panther), GAF, and Certain Teed. All work performed by Robinson Construction Services Corporation meets and exceeds local ordinances and building code. All work is done by our team, we DO NOT subcontract. Sampson Exteriors is the Triangle's preferred residential and commercial exteriors contractor. Our mission is to serve the people of our community through doing good work, always doing the right thing, and service to others. We do all exterior repairs and replacements, Roofing, Windows, Siding, Gutters, doors, painting and decks. Our mission is to give our customers a great roof at an affordable price. We strive to separate ourselves from the competition. Several components are used in our roof systems that are often left out or substituted with inferior materials by others. Our site prep, shingle replacement and clean-up are second to none. Aside from workmanship, a good shingle is mandatory. We are certified installers of GAF, which is the largest shingle manufacturer in North America. This entitles us to offer a 50 yr. non-prorated shingle warranty to our customers. HomeChoice is a full service roofing and siding company serving Fuquay Varina, Cary, Dunn and surrounding areas. We provide complete exterior services including roof replacement, siding installations, preventative maintenance programs, and more. Our goal is to establish a long term business relationship through professional service and competitive pricing for all of our customers. North Carolina weather is unpredictable and can destroy your roof. We can get your roof back in shape ASAP. We work with all major insurance companies in the area and can get your roof repaired/restored fast! Whether you need help with Roofing, Siding, Windows, or Gutters, our locally owned and operated company can help you with superior workmanship all while limiting your out of pocket costs. Call HomeChoice today for a free estimate! Dana Dean Roofing Company is Raleigh, NC's top rated roofing contractor and roof repair specialist. Our roofers are highly trained, In-house and factory-certified. We specialize in new roofs, roofing replacements, roof repairs and preventive maintenance services in Wake NC, Durham NC and Johnston NC counties. We are a contractors that only specializes in roofing. Our roofers only hand-nail our shingles for a guaranteed quality installation. We never use sub-contractors and our guys have been with our company for many years. We only recommend the highest quality of materials but will install whatever you desire. We like providing our clients with the best value for their money and confidently back it with one of the longest fully-transferable labor warranty out there. When we perform a job, we put our name on it for years to come. We are family owned and operated company and as if our customers are like our family. Please feel free to contact us anytime. We are the home of the $295 roof tune-up. We also have an A+ rating with the BBB. We are the only roofers who are confident enough in our entire roof replacement system to provide a 10-year fully transferable warranty on our workmanship and material. This warranty is aside from the manufacturers' warranty that comes with your new roof. We only hand-nail our roofs; there are no pneumatic guns ever! We always use synthetic underlayment below our shingles, not obsolete tar paper/felt. We always use lead (the malleable metal) for our pipe flashings, never rubber gasket type. We always use drip edge on our perimeters and unexposed valley metal liner (not seen, just a backup procedure for long run). We always use shingle-over, filtered ridge vent on all peaks (for ventilation). We are the best. Are interested in having the best? Some folks think a roof is a roof. Thank you for caring if all these matter to you. By the way, our roofs will last approximately 30-40 years because of our care in the details. We have offices in Raleigh, Greenville, and Fayetteville. We serve all of North Carolina. We also do some work in Virginia, Maryland, and South Carolina. What do roofing companies in Cedar Grove, NC do? Your Cedar Grove, NC roofing contractor can install a new roof or repair an old one, as well as repair and replace gutters. Good roofers in Cedar Grove, NC should be able to promptly inspect roofs and gutters to assess damage after a natural disaster or other event, and give you an estimate for the necessary roof repair immediately. Some Cedar Grove roofing companies specialize in specific types of roofs, such as tile or metal, so make sure the one you are interested in works with the materials you have or desire. Find a Cedar Grove roofer on Houzz. Narrow your search in the Professionals section of the website to roofing companies in Cedar Grove, NC. If you’re planning a large-scale project, find other professionals on Houzz who can help get the job done. Here are some related professionals and vendors to complement the work of roofing & gutters: General Contractors, Specialty Contractors, Siding & Exteriors, Door Sales & Installation, Garage Door Sales & Installation.